Rebecca doesn't know I'm alive. She doesn't know I'm looking right at her, studying her every move. She has no clue that I'm spying on her, or that her soul is in danger. "Gather information about the child. Find out her strengths, her weaknesses, her fears, and tell me all about them," the Black Mistress had said last night. I didn't like her request, but after she melted Sissy's body for speaking up, for resisting, I had no choice but to listen and obey. The stench of burnt chemicals from the pile of melted plastic floated around us. I rubbed the stitch lining of my cloth fingers to keep them from shaking. "But Mistress," I said before swallowing hard, "Rebecca doesn't have strengths or weakness. She's only seven years old." The Black Mistress smiled and cocked her head at me. "My dear sweet Aisha. All children have strengths and weaknesses. You just have to pay attention." We were all seated at the foot of Rebecca's bed against a large wooden doll house, right where Rebecca's mom left us. Her misty form hovered just a half-inch over the pink and purple patchwork rug in the middle of Rebecca's room, with a trail of dark smoke at the hem of her sable cape. She had no face, mouth or nose; a black hood with glowing red eyes addressed us. Where her voice came from, I couldn't see. "When the child looks into your eyes," the Black Mistress said to all of us, "search into her soul. She trusts all of you. She whispers secrets to you. She loves you. Because of this, you can communicate with her. Ask her questions. Then, when she lays you down next to her in her bed, instead of letting your lids shut over your glassy eyes, keep them open. Keep your wide, thick-lashed eyes open, and she will see you, she will speak to you, and she will tell you anything you want to know." She paused and glanced at each and every one of us. "And if you don't have any more information for me soon, you too will know the effects of fire on your skin." "Rebecca", I whisper as she sleeps soundly next to me. She moans softly, the corner of her lips turning upwards. Her pink lips part and she whispers, "Aisha..." Her eyelids flutter open for a brief second, looks right into my eyes, and then close. The pillow rises beneath me as she digs her cheek into her side, snuggling me closer, her arms wrapping me with her loving warmth. Rebecca smiles softly. "You're my bestest friend in the whole wide world," she whispers before slowly sinking back into sleep. "I love you Rebecca," I whisper, and close my eyes to join her dream. Glad you liked it Lonnieta! Started as a horror, but ended as a feel good story. At least I hope it does... does Aisha end up being melted as well? Very creepy story, very creative writing. I love it, and thought the ending was suspenseful as I'm left wondering what Aisha will do. Well written! This is the real reason why I won't have dolls anywhere near me at night, girly or not. I know what you mean. I won't even buy them for my daughter! Thanks! That's so awesome of you! Yay! Thanks Maverick Raconteur! I'm glad you found it unsettling. 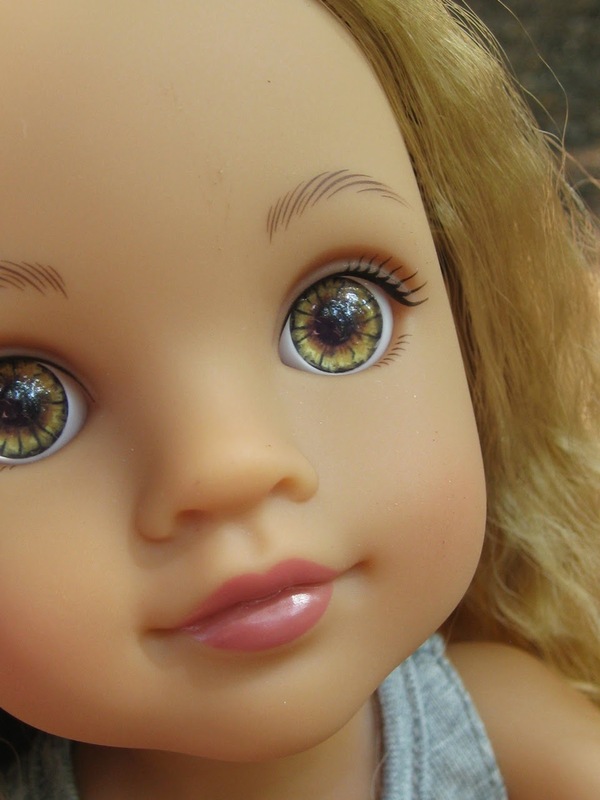 He He ;-) Dolls with rolling eyelids are freakishly creepy.